American architecture ranges from designs from the Malibu houses in the West Coast to brownstones in the East Coast. American house design features include white picket fences , bricks, porches, windows with shutters and so much more. Climate-responsive principles can still be applied to this design. While the United States has long been a leader in cultural trends throughout the world, not a lot of attention is often given to American architecture as a field. While classic and modern European and Asian styles seem to be a popular trend in Philippine houses today, American architecture often gets a bad rap for being allegedly impractical and too commercialistic, especially when transplanted in the local context. However, while popular culture may portray it as a product of the modern age, American architecture has a history dating back thousands of years, even well before European colonization. While it’s true most of what characterizes American architecture today is a product of the modern age, examining it in detail reveals a can-do mindset shaped by the vastness of the continent and generations of toughness in the face of adversity. As American architecture is extremely diverse, it may be helpful to look up some key styles. This is arguably a category within itself, covering the adobe houses of New Mexico to the temporary igloos of Alaska and tepees of the American plains. If we were also to take into account all pre-colonial American architecture in this category, it can also be argued that the massive pyramids and stonework by the Maya, Olmec, Inca, and Aztecs all fall under this category. Within the present-day borders of the United States itself, the Mississippian civilization also created massive earthwork complexes that are only just now being appreciated. While extremely diverse, most Native American architecture was and is characterized by a close harmony with nature and the extensive use of local materials. This approach continues to be influential in the American Southwest, where many homes famously tend to incorporate Native American elements in their design. The architecture of American homes was influenced by waves of European immigration, with settlers from different countries bringing trends of the time and adapting them to local use in the Americas. Strictly speaking, “Colonial American architecture” refers to homes with these influences from before the American Revolution. Subsequent structures made in the colonial style are often instead, referred to as “Colonial revival” or similar terms. Homes made in these styles are characterized by their similarities to European houses in terms of construction and aesthetic. Broadly, they can be classed according to their influences as well. Present-day Amish houses, for instance, are an example of homes following the Dutch colonial or German-colonial style. The neoclassical style emerged after the American revolution, adapting elements from Greek and Roman classic architecture, mirroring similar movements in Post-Revolutionary France. Neoclassical style architecture was often a conscious effort to hark back to the buildings of the ancient Athenian democratic state and the Roman Republic – a contrast to the styles more often associated with the European monarchies of the 18th and 17th century. This style was often the preferred one for new public works and government buildings. Aside from government and institutional buildings – many homes around the United States followed this style. Columns, balustrades and grand porches are some of the notable some of the features of American neoclassical architecture. Buildings in this style are also fairly common in the Philippines, most of them having been built during the American Colonial Period, with the Manila Central Post Office and Manila City Hall being quite common examples, with homes in the style scattered throughout the country in dwindling numbers. Architectural trends in Britain invariably made their way across the Atlantic to the United States. This was especially true during the height of the British Empire in the 19th Century when British culture, trends, and fads invariably crossed the ocean into their then relatively less culturally-influential American cousins. Victorian-style homes are particularly common along the East Coast and in the San Francisco Bay area, with other urban centers that thrived in the 19th to early 20th Century having their own fair share of these structures. Victorian homes are characterized by asymmetry, decorative trim, wooden towers and turrets, as well as bay windows. One particularly famous American-style Victorian house in the Philippines is the so-called “White House” in Baguio, along Leonard Wood Road. Silliman University’s Silliman Hall in Dumaguete is also another prominent example of American Victorian architecture in the Philippines. Homestead architecture is a very American take on the idea of one’s home being their castle. Homestead houses were meant to aid in the self-sufficiency of their owners, who may be days away from other people. Log cabins are a classic example of this type of architecture, and the raw wood paneling, floorboards, and simple-to-construct shared-use living spaces continue to be influential and popular today. Homestead houses were not originally built for aesthetics, but instead were the sturdiest possible types of homes an individual or small groups of settlers could build with their own available skill sets. As many of these homes were often designed and built by men who may often not have women around them, there is often a homely, masculine feel to the general design of these houses. This makes the aesthetic popular for modern “man caves” among other spaces. The late 1800s to the 1920s is often considered to be the so-called “Gilded Age” era. Architects and engineers were able to use the fruits of the industrial age – abundant and cheap glass, iron, and ceramics – and use them to create nearly any kind of structure they fancied. Buildings built under the Art Nouveau and Art Deco styles often fall in this larger category. They’re both often characterized by the extensive use of ironwork, stained glass, and feminine curves and sinuous lines and patterns. A few examples of American-style gilded-age houses survive in the Philippines today. The Don Roman Santos house in Antipolo is a well-preserved example from the era. American house architecture is also influenced by the country’s immigrants. Spanish and Mediterranean styles are quite popular around the country – from Los Angeles to Miami. Every wave of immigration tends to result in new architectural styles that include influences from the immigrant’s home country. This eclecticism is often evident in each and every style of American architecture. Pre-fabricated houses have been part of the American architecture for over a century now. Home kits or flat packs were assembled onsite, making it an affordable and convenient option to build homes. While once intended to be housing for emergencies or as a decent budget option for homeowners, prefabricated houses today can be quite luxurious, as the small-house movement shows. These houses are usually built in a modular fashion, often in a modernist or futurist aesthetic. Components of these houses and buildings are manufactured off-site and positioned and decked out as needed. This allows for extremely fast set-up for the homeowner along with significant cost savings in other areas. 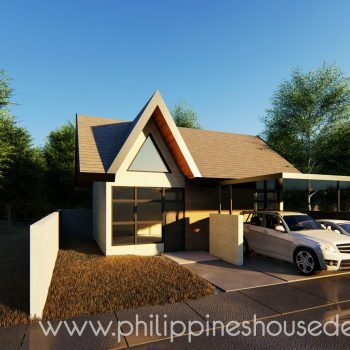 This type of architecture is currently a growth industry in the Philippines, and you might be surprised at the diversity of design and aesthetics possible with prefabricated housing. If you love futuristic and industrial-looking spaces, prefabricated housing can be an excellent choice in the local context. Historical trends aren’t the only things that affect American architecture and housing. American homes tend to be adaptable, modifying current trends to be more in line with the location and climate. A house in Alaska will be different to one seen in Hawaii. Popular American architect Frank Lloyd Wright took this a step further and revolutionized a style for homes where they blended with their surroundings: organic architecture. His most iconic work is the Fallingwater House in Pennsylvania, which is built over a stream. This style blends the interiors with the exteriors with large openings and sprawling plans. Features allowed maximized ventilation and sunlight – something that is shared with other climate-responsive designs. While we can’t all have a home built over a stream, elements of organic architecture can be found in modern homes all over the country, and a large number of new homes built today owe part of their heritage to Frank Lloyd Wright’s original vision. Like other American attitudes and aesthetics, American architecture is undoubtedly diverse and difficult to characterize into neat categories. There’s definitely a lot more to American houses than tract homes and cookie-cutter houses in the suburbs as well. There are new developments in the field every year, and with so many large urban centers, most places within the United States and Canada seem to have their own idea of how to do things. However, a few key features tie American architecture of most styles together. It isn’t common to hear Americans dream of owning a home with “white picket fences” – a symbol of the typical suburban life. Picket fences are vertical members of wood with the usual inverted V top, all connected with horizontal support. These fences were used to demarcate the boundary of one’s property. A gate of similar style is incorporated in the front perimeter. These fences have been used since the American colonial era and are popular as ever in the present day. Unlike many other types of wall or fencing, they are able to demarcate a property while allowing a feeling of openness. The porch is a feature in many American homes. A porch is a roofed portion of the house which is located only at the front or sometimes wrapping around to the side(s) of the house. This serves as an extension of the living room or to serve as an entryway. Functionally speaking, front porches are a great way to shade the house from the harsh sun, especially if the side of the house is facing the south or west directions. Porches are a practical medium for being climate-responsive. While the porch is an extremely old architectural feature conjectured to be thousands of years old and present in many cultures, the porch as it is in American architecture is a derivation of the “shotgun houses” of West Africa. As Western European immigrants of the time of the slave trade did not have porch as part of their architectural vernacular, it’s highly likely that it was West African slaves who first built houses with this design feature in any great number for their masters, especially in the hot climate of the American South. Window shutters are window coverings that are usually made of wood and fit to size a specific window. Although functional to serve as window shades and screens, they have also served as an accessory in American homes – sometimes painted in bold colors such as blue and red. Shutters are particularly important in the American context, where a house had to endure hot summers and freezing winters. The addition of shutters provided an additional passive means of keeping a house warm during winter. Homes in parts of the country that suffer from hurricanes and tornados also often incorporated shutters as a means of protecting the occupants and interiors of a home. Also known as “rooftop windows”, dormer windows became popular in American bungalows and tiny homes since the second levels of the home were only half-height. Dormer windows are windows that jutted out from the roof of the house, to illuminate attic bedrooms. They’re a great option for maximizing light and ventilation into rooms that are immediately under a sloped rooftop area. 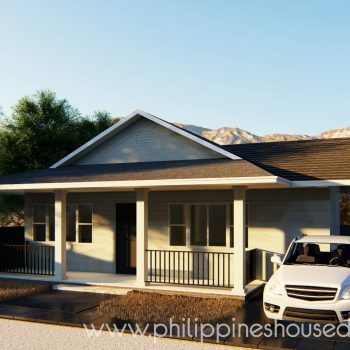 With modern insulation and passive cooling, they can also be a good option for homes in the Philippines today. These are the typical wall cladding we see in American homes made of wood, stucco or other sturdy materials. These started as a way to be able to save on material and reduce unneeded mass in a structure. 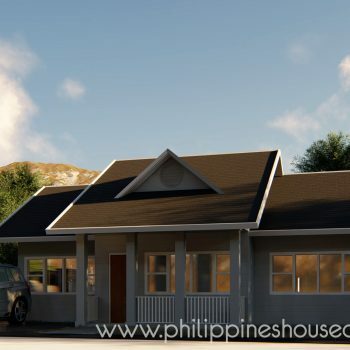 When applied to homes in the Philippines, sidings are often used more for aesthetics than function. However, strategically-designed sidings with the right materials can be used in Philippine homes to reduce noise and resonance from traffic and to provide a more comfortable ambiance for the inhabitants. Even before the European settlers arrived on the continent, American architecture has always been shaped by a can-do attitude and the use of available technology. Even if you’re not a fan of how American homes today look, American has a long history of architecture to draw inspiration from, and many of these principles used to build these remarkable structures can be used to build and furnish houses in other styles.